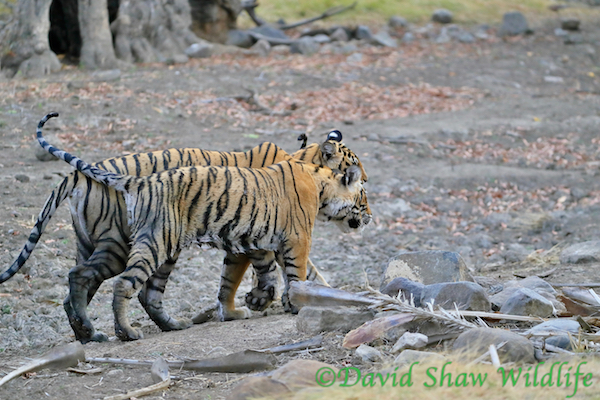 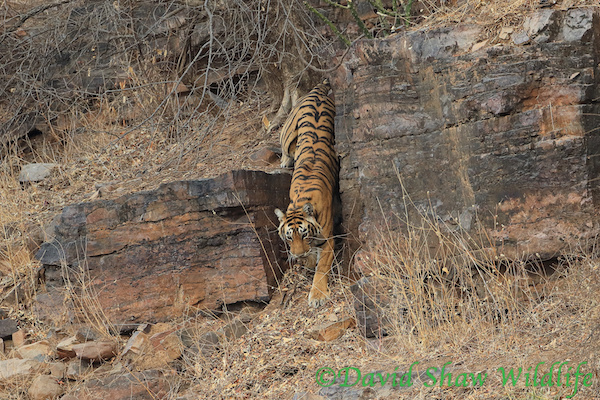 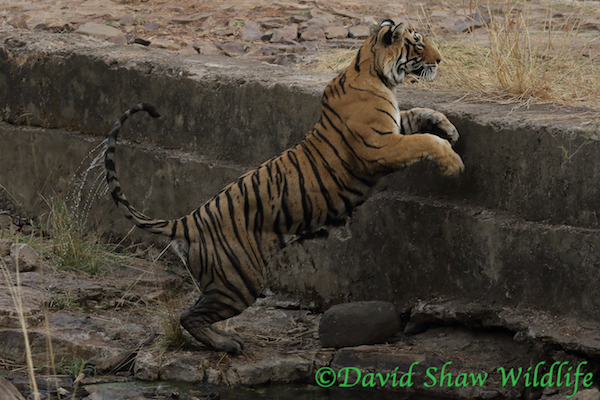 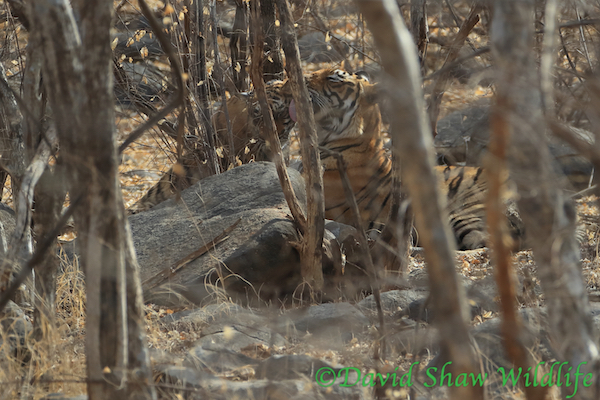 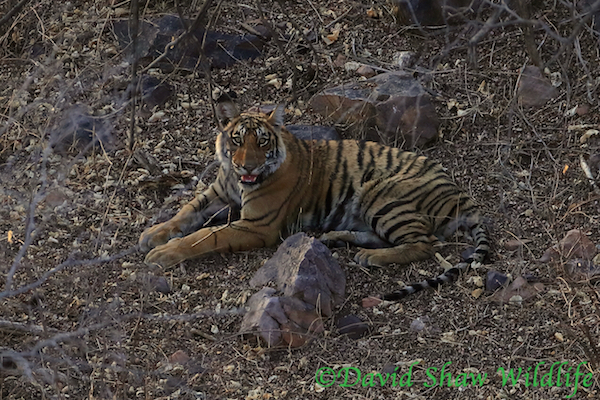 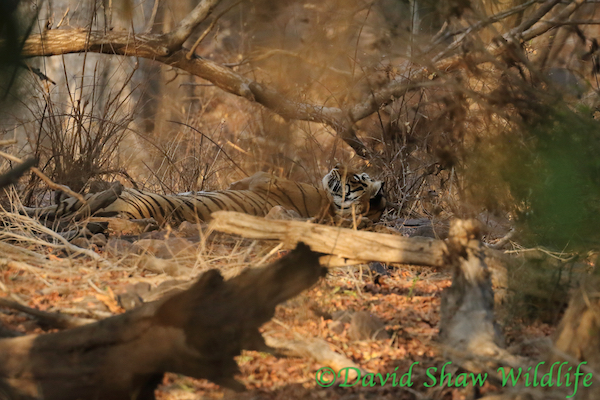 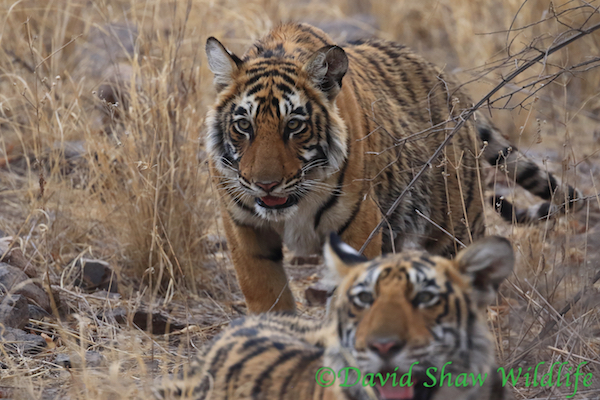 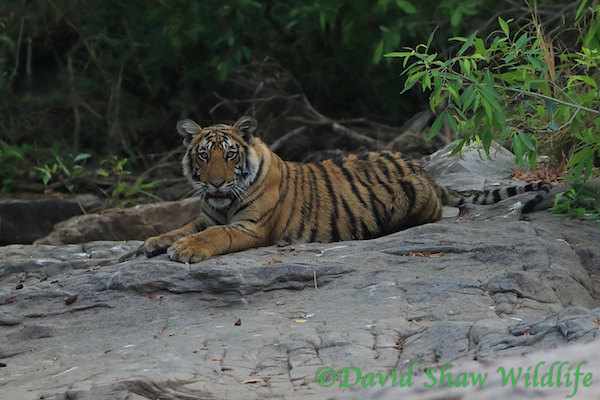 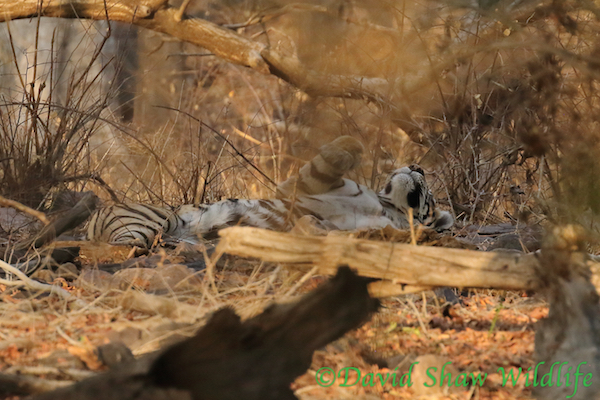 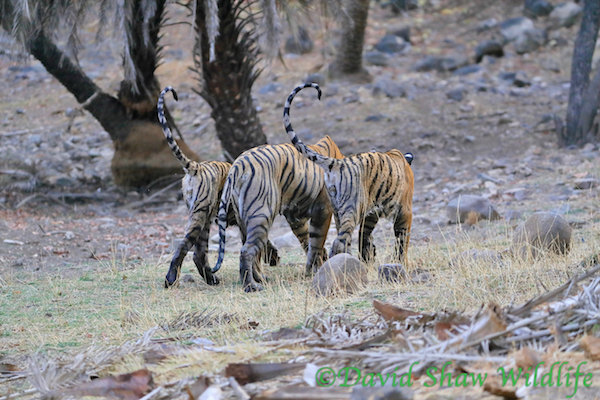 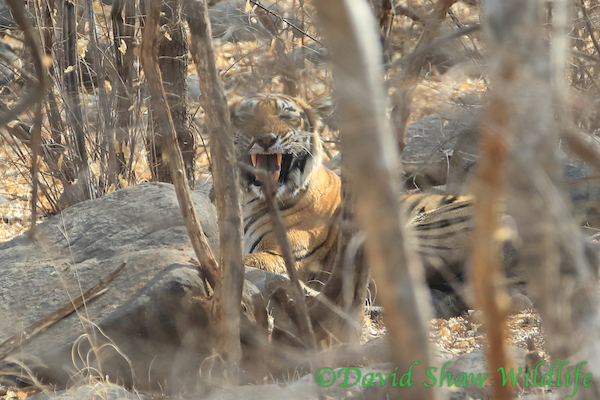 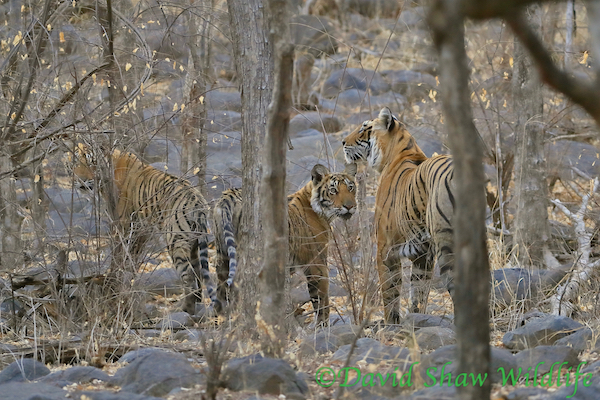 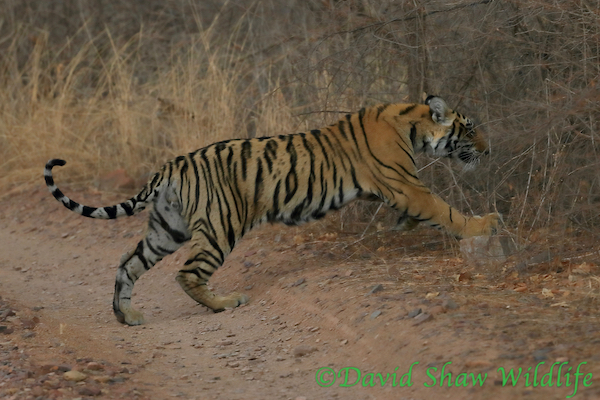 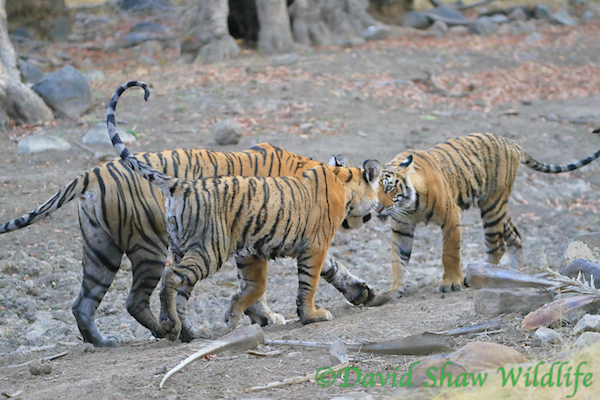 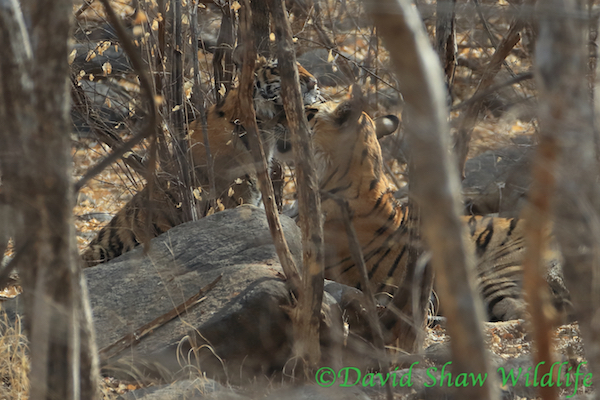 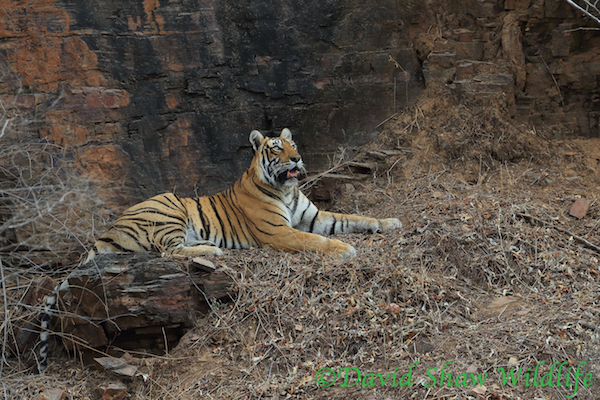 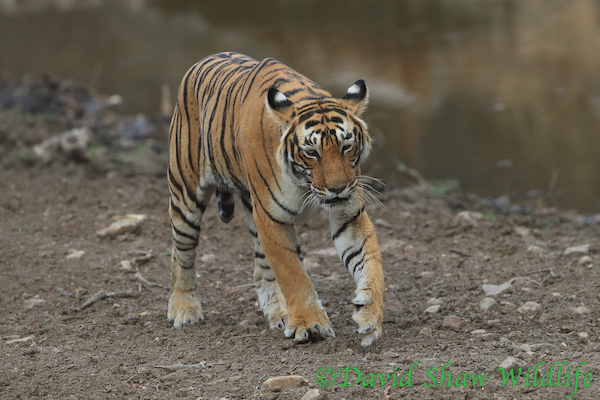 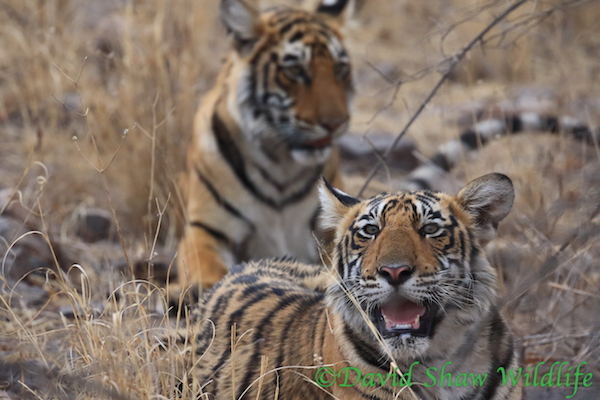 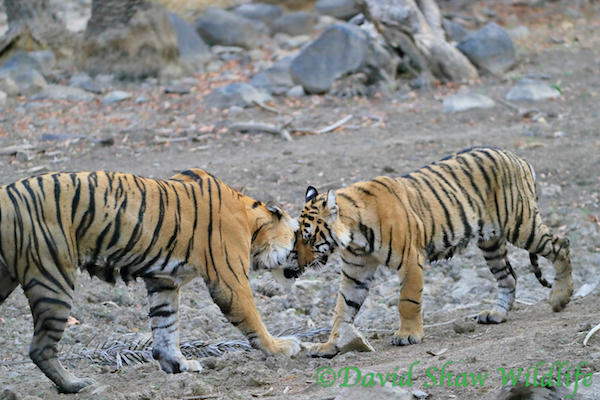 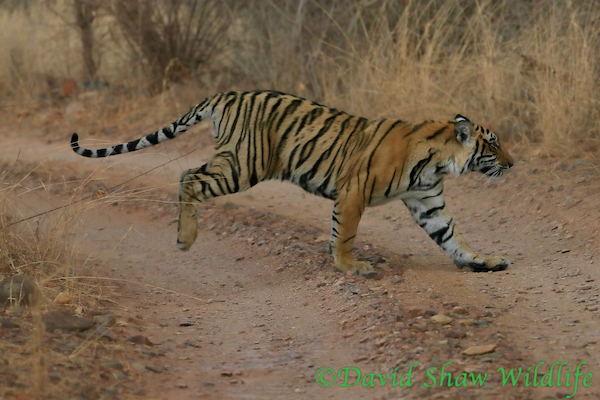 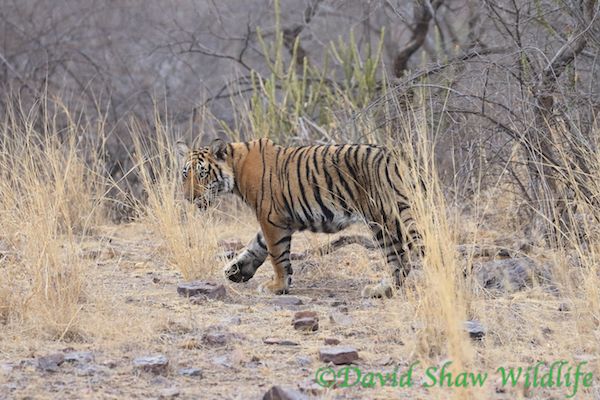 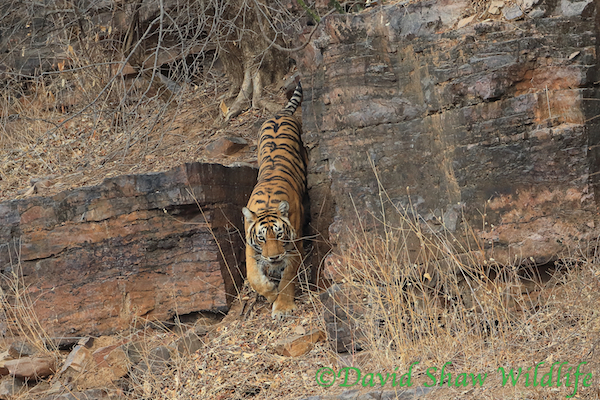 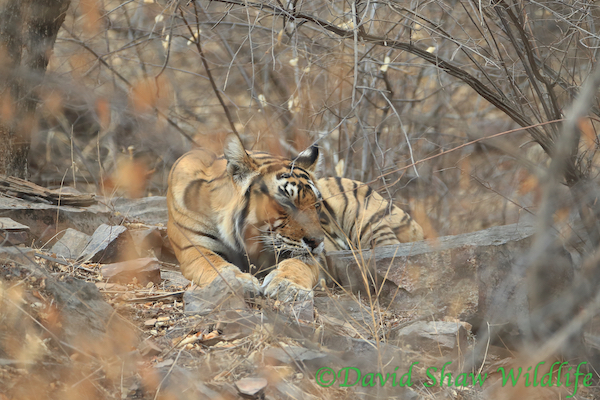 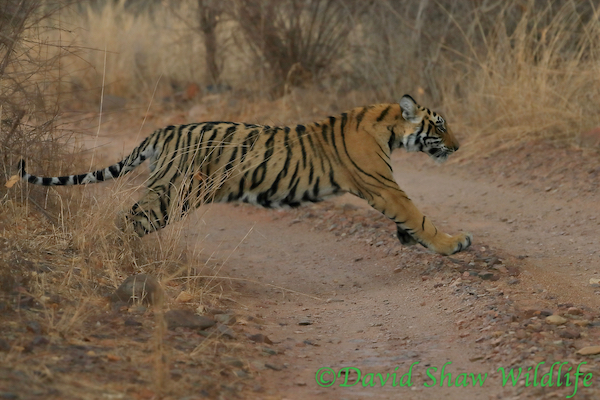 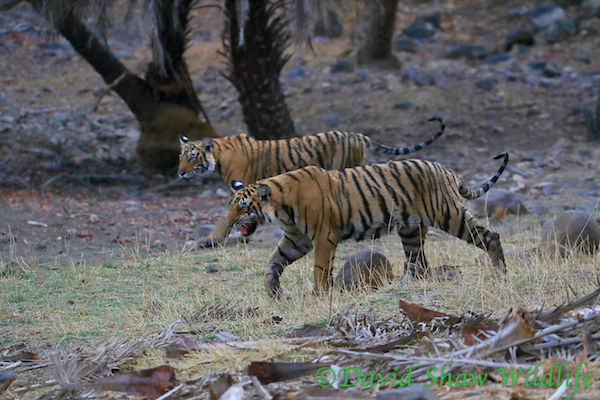 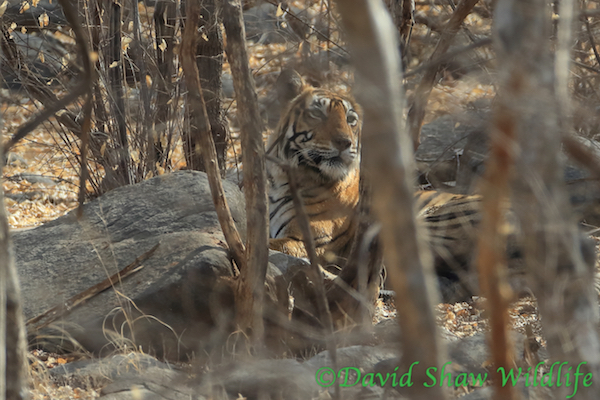 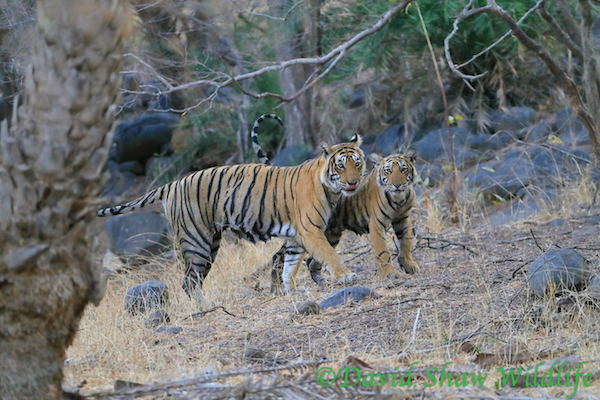 Krishna was being very elusive but we did manage to get some shots of her and the cubs. 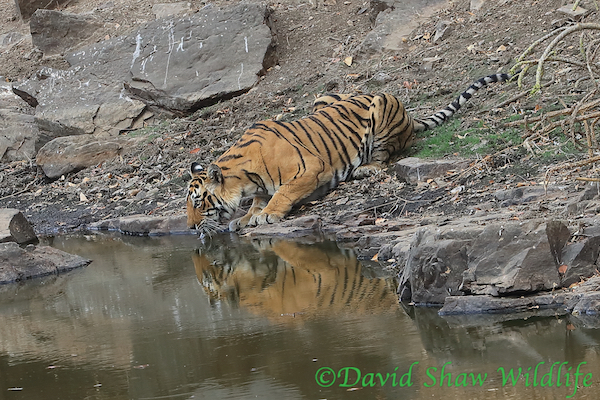 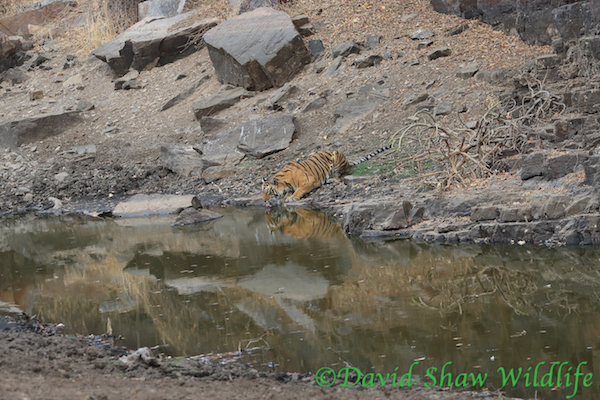 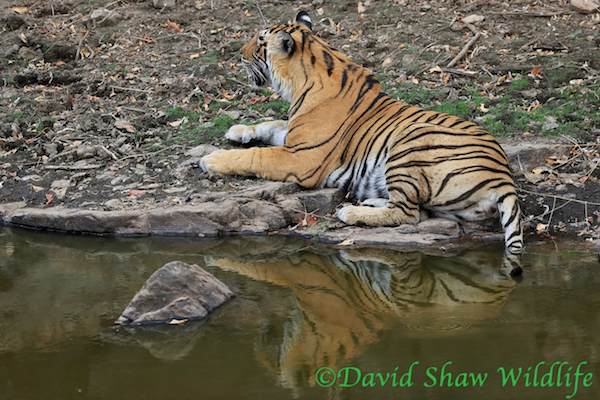 The best sightings were at the waterhole where she came down, drank and sat with beautiful reflections. 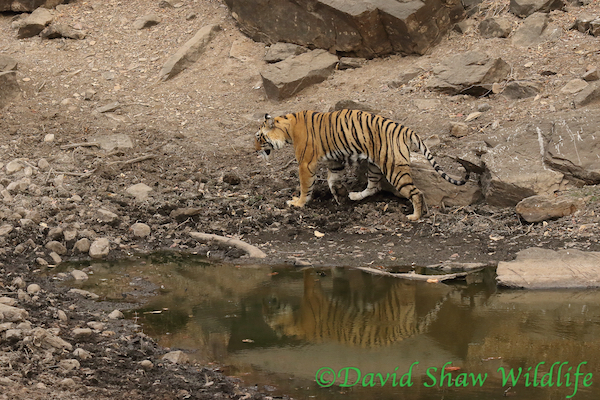 And at another waterhole, where she had been in the small amount of water with her cubs and then they greeted each other before disappearing into the forest.